Our summer holiday of 2013 was a prolific and creative watercolor period. Although I had "collected" compositions of colorful and interesting reflections on all kinds of water bodies here and there before, it was during those five weeks that the watercolor theme really materialized. Today's example arose from an exciting photography session at Sol Duc River in Olympic National Park in Washington State. 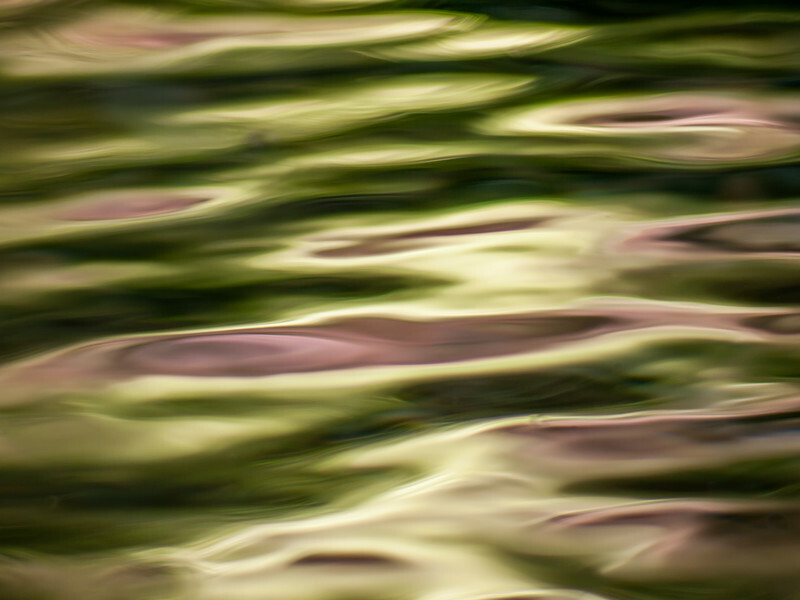 When I suddenly saw these colors, lights, and shades dance on the fast-flowing water, I had to photograph. For me, this composition perfectly captures the beauty and essence of that moment.